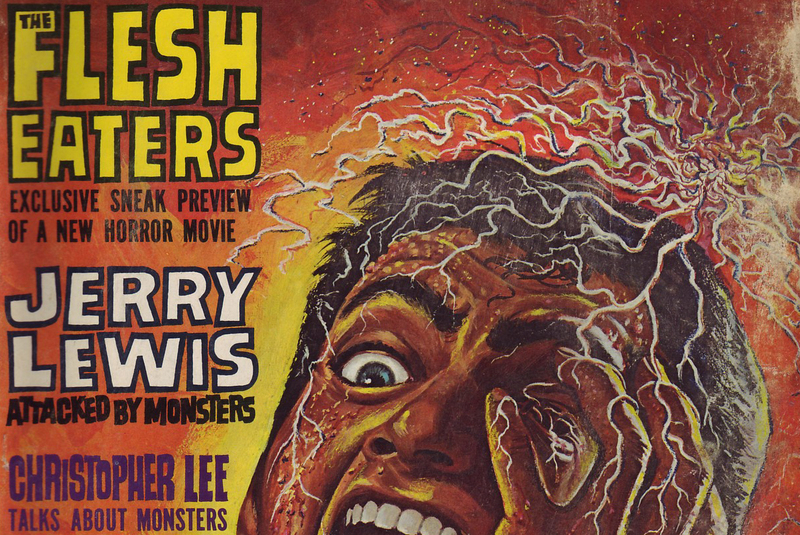 This week we’ve got FM #29 — I think I’ve run this cover before, but as with other recent posts I’m doing these all with scans of my own copies now, so some stuff is gonna get rerun. 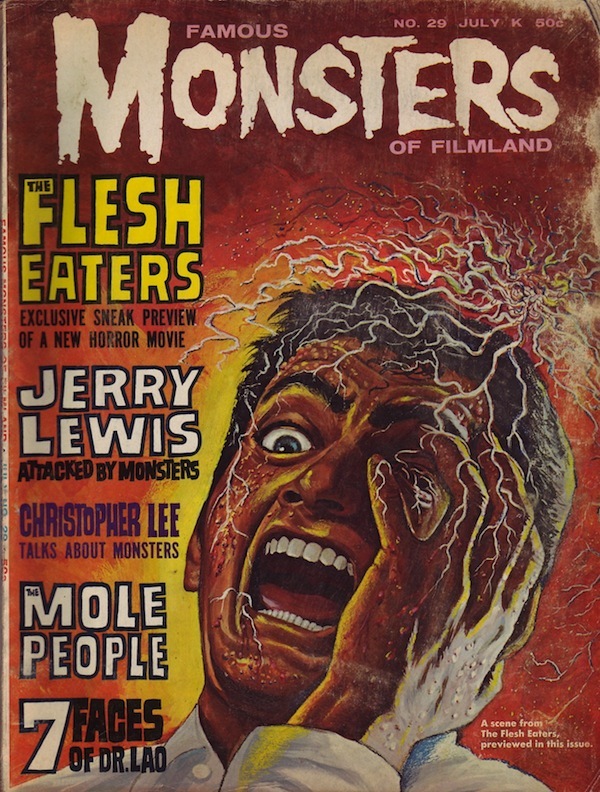 This issue features a great cover story on one of my favorite old monster flicks, The Flesh Eaters, an article on The Mole People (which, when I finally saw it, was mostly about fruity albinos in goofy robes and not so much about hideous mole monsters), and the conclusion of the Island of Lost Souls Filmbook. 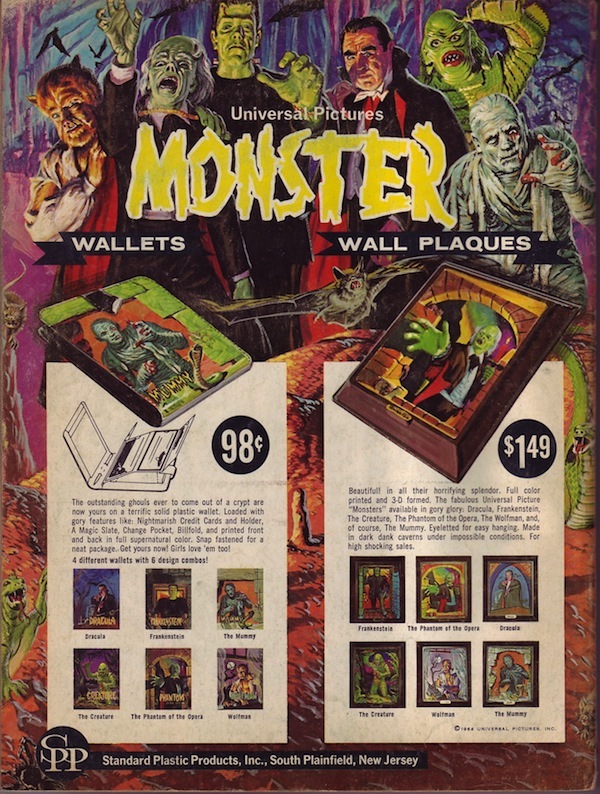 And how about those monster wallets on the back cover? I’d love to have one of those. "Hey -- you think maybe they just kooky?"